This prehistoric Native American effigy artifact (900-700 years before present) was found at the location of Lycoming County's first registered excavation, 36LY0001 (Brock Village) in 1957. 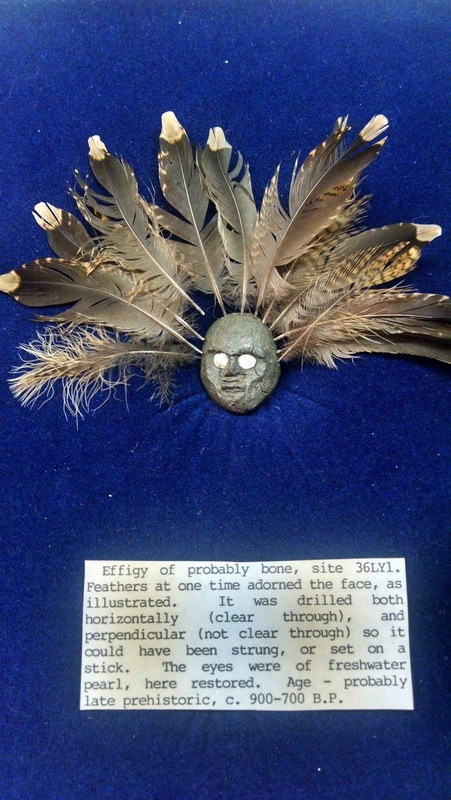 Carved most likely from bone, the effigy was drilled and was once adorned with feathers, perhaps in the same fashion as the current feathers. The eyes were made of freshwater pearl. It has been acquired from a local collector by Tank and Anita Baird with private funds, and is the subject of Tank Baird's upcoming radio talk with iHeartMedia's Ted Saul on "Animism and the Artifact."